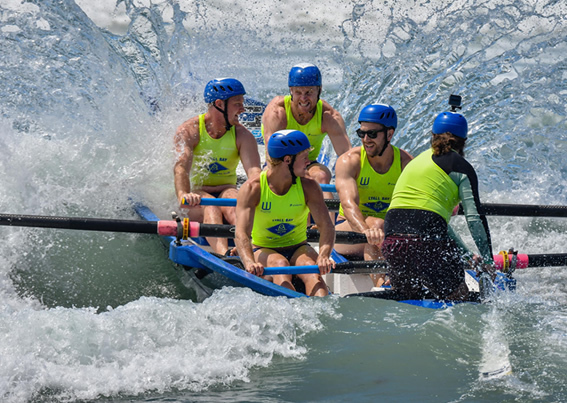 The second-to-last race meet of the series was raced at Waihi Beach, following the Trans-Tasman Surf Boat Challenge, making for a big day of competition, with about 400 spectators from throughout New Zealand and from Australia. “Surf boat racing is thrilling to take part in and to watch, but these teams are also part of a surf lifesaving discipline aimed squarely at lifesaving skills - knowing how to battle through difficult ocean conditions to reach people at a moment’s notice”, Lord said. Sunday, February 10, was scheduled for another day of surf boat racing at Waihi Beach, with the Representative Regional Surf Boat Challenge, and the Champion of Champions – a free-for-all show down between all age grades and men’s and women’s teams. But heavy surf conditions meant the day had to be cancelled, Lord said.